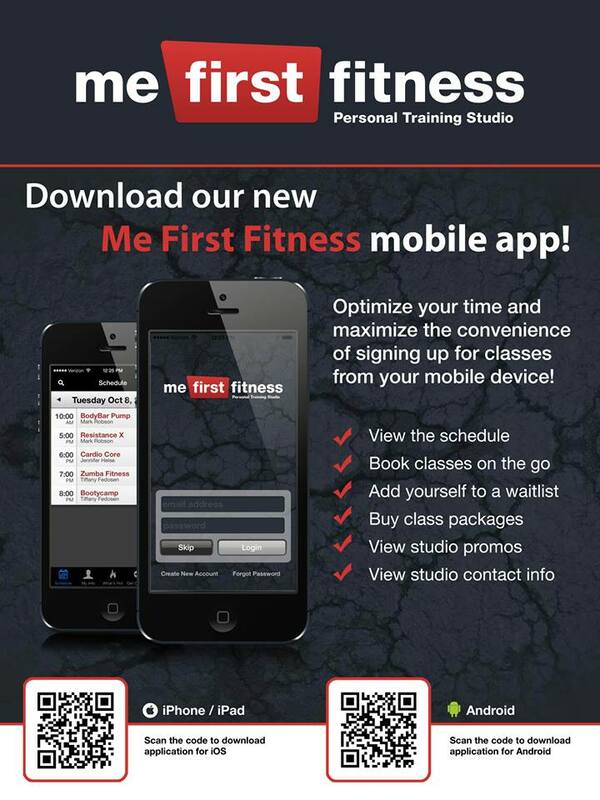 Download the Me First Fitness App today! Available in app stores and it’s FREE! DOWNLOAD available in your app store. Download for your iPhone, iPad or Android Device.